The text above is a partial transcription of on-pitch conversation recorded during the North Berks League Division Four match between Long Wittenham Athletic Reserves and Berinsfield Reserves on January 7th 2017. The passages in brackets were overheard conversation from a group of younger spectators playing on the swings next to the pitch. As this project has developed I have become reacquainted with the verbal culture of grassroots football which led to the title of the project Get Rid! This command indicates a fear of the ball; fear of possessing the ball; that if you are in possession in certain circumstances or parts of the pitch your duty is to get it as far away from you as you possibly can at the earliest opportunity. There are places where you don’t take the risk of being dispossessed by the opposition. My philosophy as a coach is different and I encourage players to take risks, find creative solutions even when outnumbered in your own penalty area. Get Rid! or Cultures of Sound in Grassroots Football is a project that has grown out of my engagement with grassroots football in Oxfordshire. Without a particular plan or framework in mind I have been making sound recordings of my experiences as a youth team coach; as a spectator at matches in the North Berks and other local grassroots adult leagues; as a groundsman marking out pitches; and as a member of a club committee. Grassroots Football refers to football played by amateur football clubs at youth and adult level so I won’t be visiting Didcot Town any time soon – other than for entertainment – as they are too far up the league pyramid. During the course of the project I have become fascinated by the transformation of quiet parish council run local parks into sites of conflict and exuberant communication. 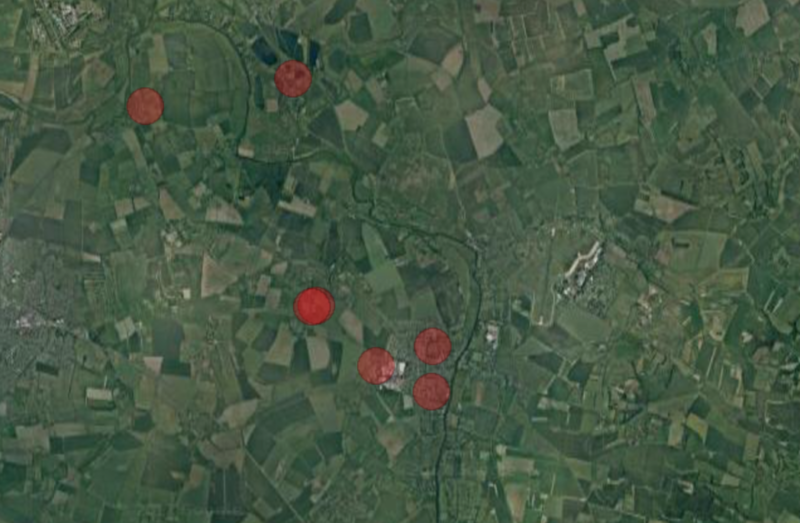 Recordings of these sites will become an integral part of the project – both before, during and after matches. The presence of the marked white lines of the pitch; the goalposts stacked against the pavilion or standing on the pitch in their sockets bereft of their nets; and the grass free zones of the goalmouths and touchlines – where the tread of goalkeepers and assistant referees has been at its most intense; are symbols of the latent soundscapes of frustration, victory, defeat, elation, failure and success imminent in these sites. Over the next twelve months I will be adding a sound to the project each week leading up to a Sound Diaries Conference with the working title Football and Sounding Cultures in collaboration with SARU at Oxford Brookes University that will take place in May 2018. The project recordings will also appear on an aporee soundmap here and the regular posts will appear here.